Barbados Prime Minister Mia Mottley engages with guests during the opening night of the JSE's 14th Regional Investments and Capital Markets Conference. 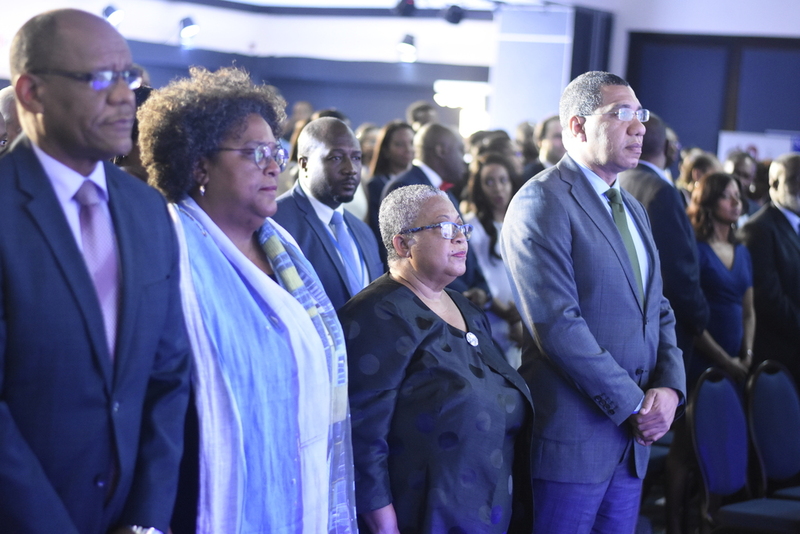 Jamaica’s strong economic performance over the past few years and the resulting surplus capital has caught the eye of Barbados’ Prime Minister Mia Mottley, who is encouraging Jamaican investors to explore opportunities in the Eastern and Southern Caribbean. 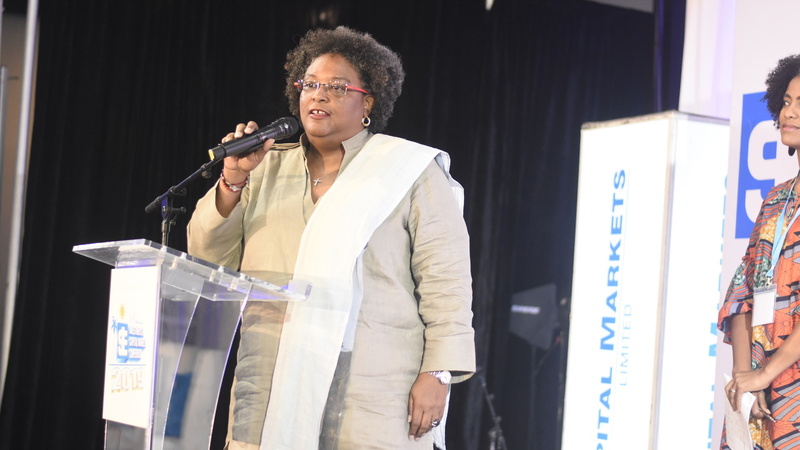 Mottley made the call on Wednesday as she delivered the main address at the 14th Regional Investments and Capital Markets Conference hosted by the Jamaica Stock Exchange (JSE) at the Jamaica Pegasus Hotel in New Kingston. 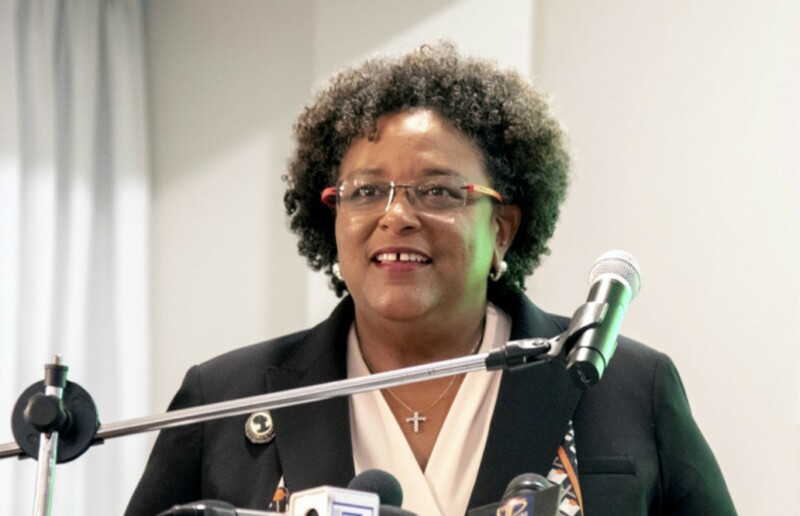 According to Mottley, the region - which continues to suffer from anaemic growth - must not continue to see foreign direct investments as the panacea to the problem. “I’d like to suggest that the region cannot be having a problem with growth without coming together to see how best we can move across borders to be able to allow instruments and bonds issued in one CARICOM territory to be marketed and used by citizens and entities in other CARICOM territories,” Mottley said. 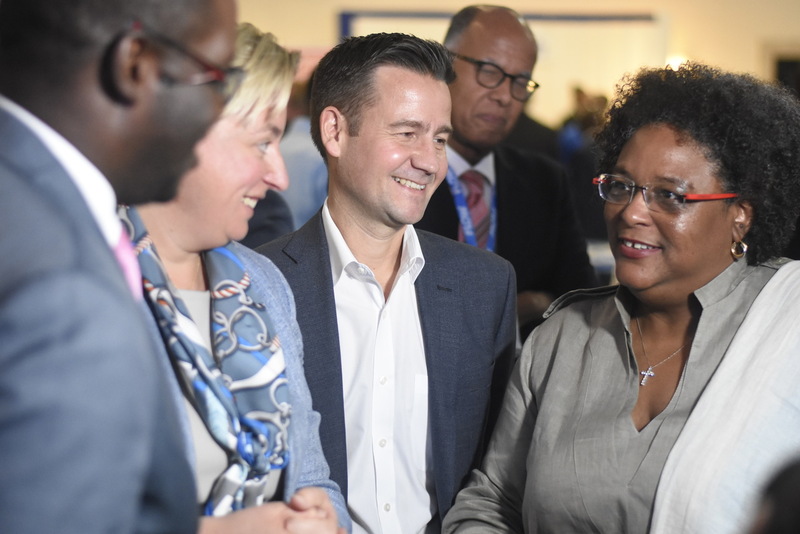 But, even as she attempts to lure Jamaican investors to her country and others, Mottley conceded that such opportunities could be stymied if there is no room to make significant profits. “Credible profits will only come if we remove many of these obstacles that are now preventing the free movement of goods across the region,” she told her audience. 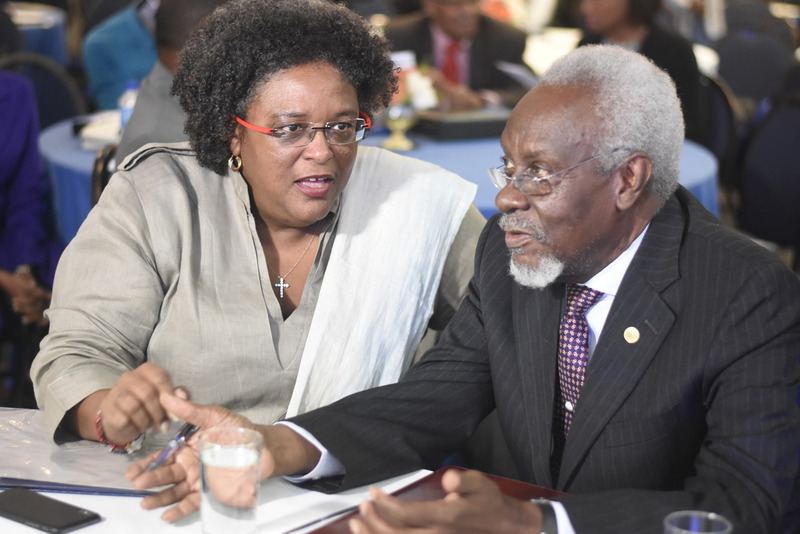 Barbados' PM Mia Mottley shares a word with Jamaica's former prime minister PJ Patterson. And Mottley made the case for controlled migration across the region that she said could help to spur growth. 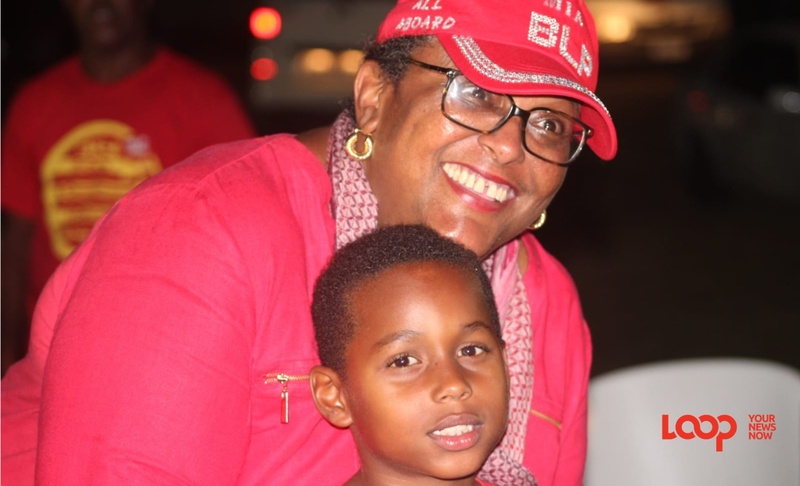 “When we consider that we do not have simply, the numbers of persons coming to work every day to be able to produce the level of goods and services that would fuel that growth, we then have to understand that we have to set about a different development agenda,” Mottley reasoned. She posited that CARICOM will not overcome the obstacle of low growth and high debt without seeking to seriously and proactively manage its population base. The Barbadian prime minister said the region must develop both the hard and soft skills of its citizens. And she took a swipe at United States President Donald Trump over the crude language he has used to describe immigrants even while acknowledging that more must be done to make it easier for CARICOM nationals to move across the region. “There is no major country in the world that has grown without the infusion of new blood. New blood comes with an appetite to want to participate but also to want to learn and to want to earn,” she said.